I apologize for being M.I.A, I have been working on a very large commission painting and trying to get it done by it’s deadline. It’s consuming my every free minute. However as soon as I received these photos I knew I had to stop for a while and share them. LeAnne reached out to me after I announced the creation of my S.O.P.H.I.E Lancaster Foundation barrettes. She asked me to hold one of them for her before they sold out. See she was not only a supporter of the foundation but also a close personal friend of Sophie’s. On top of it she was getting married in a few weeks and wanted to wear it so Sophie could be a part of her big day. 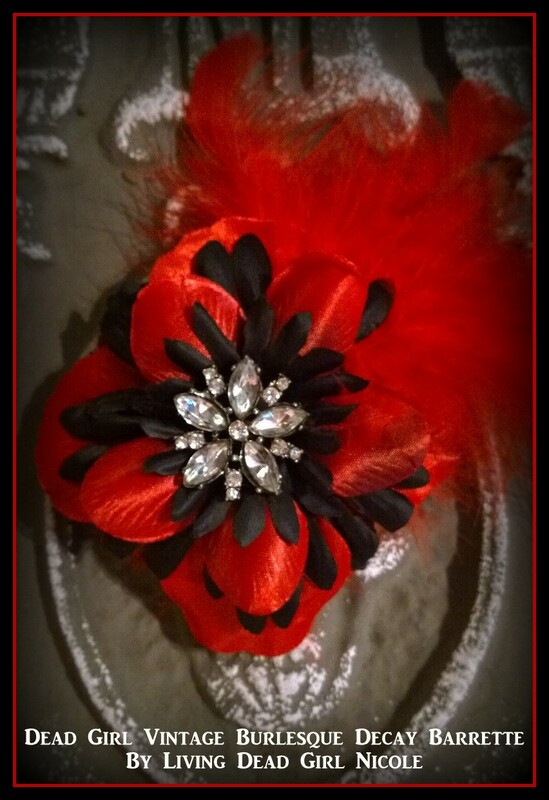 Doesn’t the barrette match perfectly with her flowers and their accessories?! Congratulations LeAnne you look beautiful. I am honored that something I created could bring you closer to your departed friend. Especially on such a very meaningful occasion. See LeAnne and my other Freaky Fanatics in the slideshow on my portfolio website! 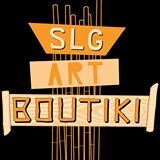 And don’t forget to contact me or submit your photos to me via a Etsy message! 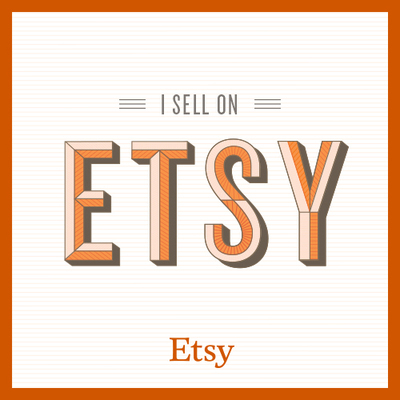 All Freaky Fanatics receive a special discount code for future purchases in my shop! 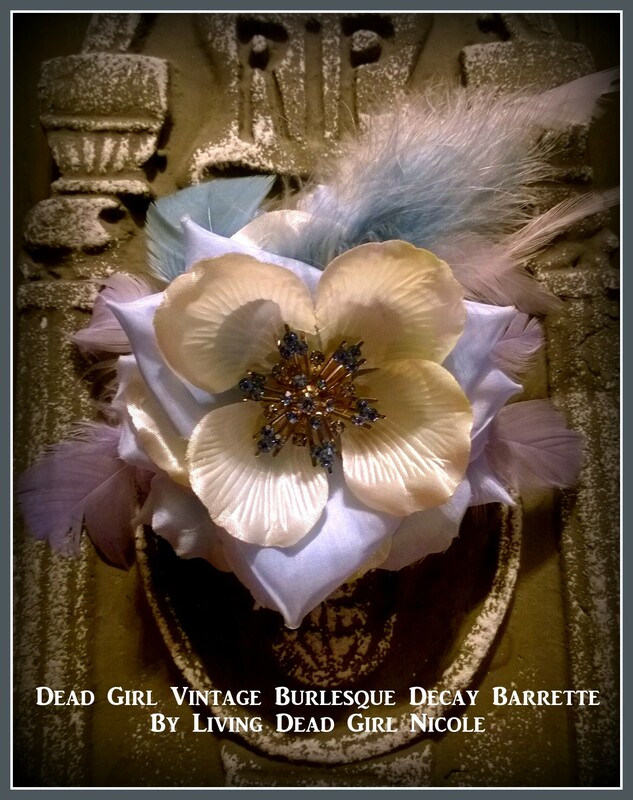 Dead Girl Decay: More Sugar Skulls! 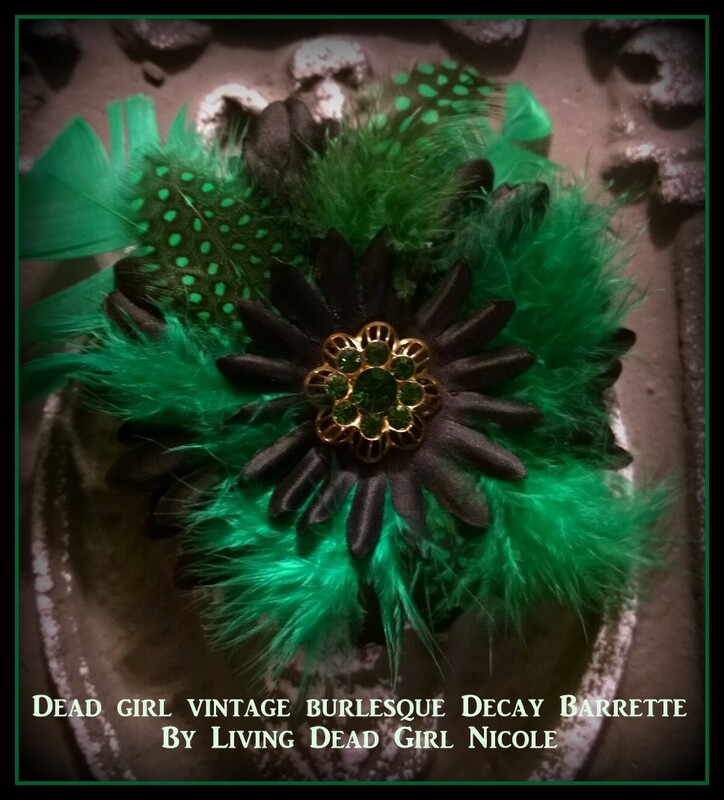 I added 2 new Dead Girl Decay accessories to my Etsy Shop today! One is a large barrette in magentas, blues and purples and the other is a pin with burgundy, blue and black. Looking for something like this for your Dia De Muertos Day Of The Dead Wedding? I can customize these with your wedding colors! Contact me for more info.